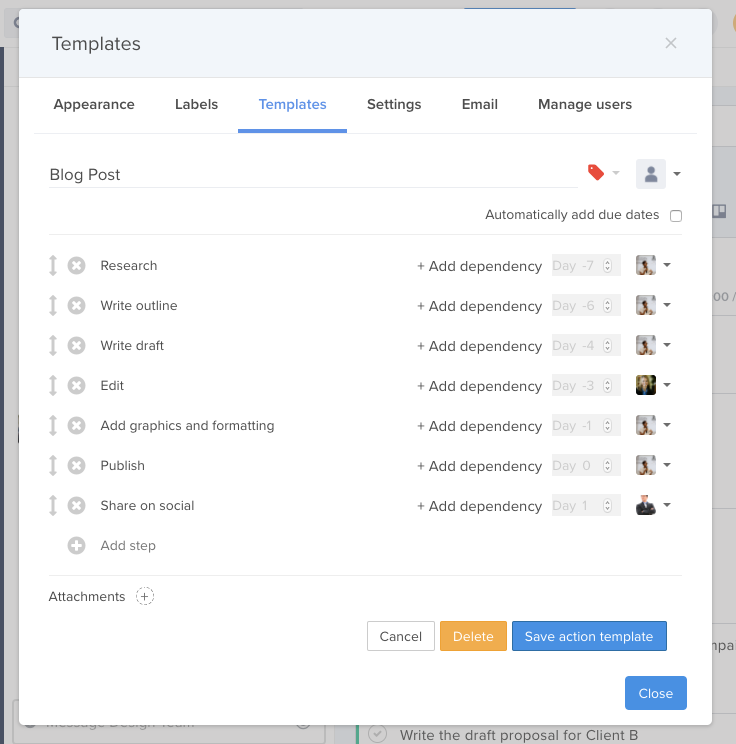 Action templates are a way to create a series of tasks you often perform together. For example, every week you have a sales and marketing meeting. Before that meeting, you need to update the spreadsheet with the latest sales figures, collect reports from the various salesmen, and write the status of all the tasks assigned in the previous meeting. 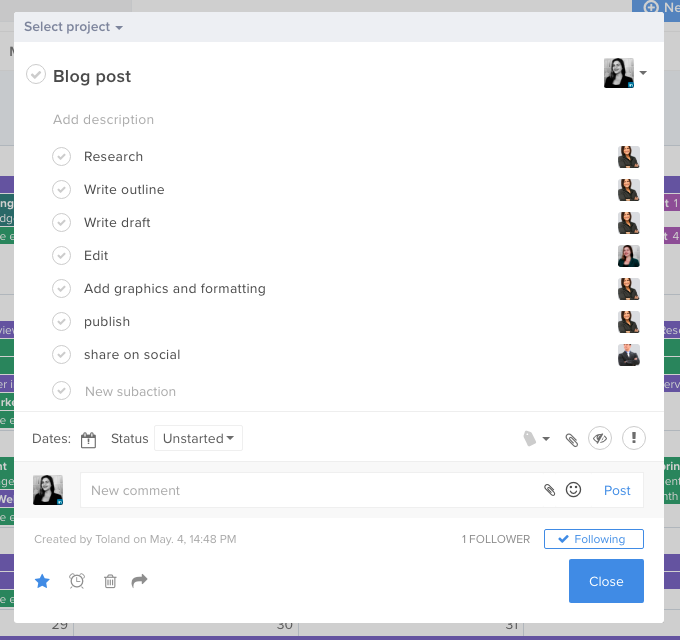 Action templates can be a great way to remind yourself of all those steps each week. Scroll down to "+ Add new template"
Add the actions, who you want to assign them to, and when you want them to occur. It will look something like the below. You cannot add subactions onto your action templates yet, but it is something we will be adding soon. Then you just save the action template and you are done! 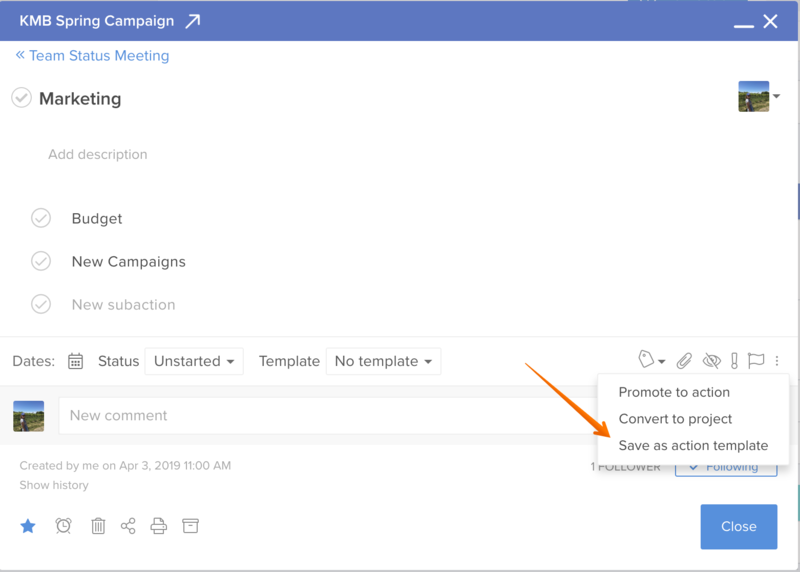 You can also create an action template straight from from a card of subactions. 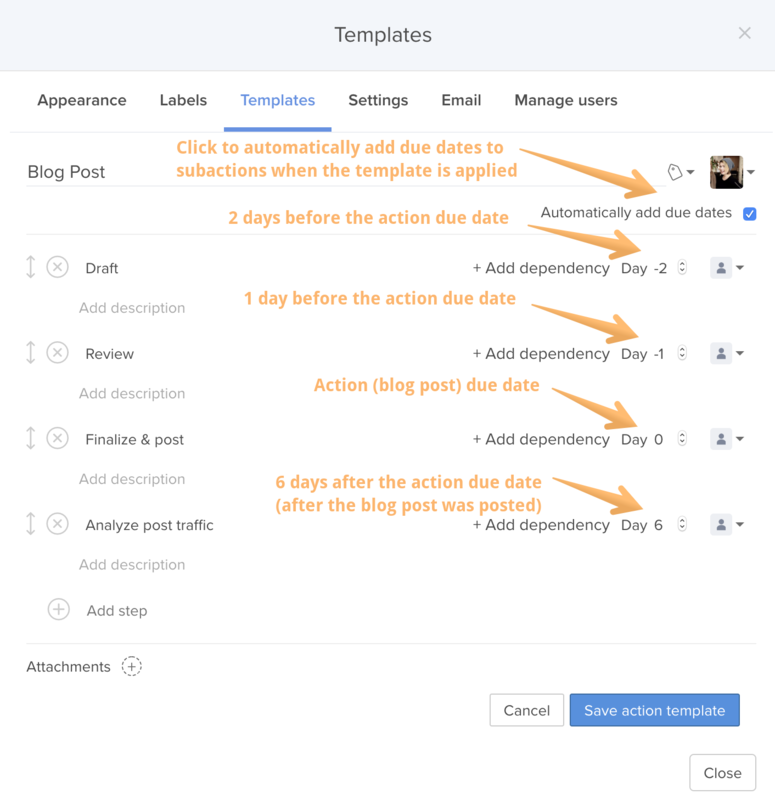 To ensure deadlines are included when you apply an action template, make sure that the 'automatically add due dates' option is checked. Not only can you automatically add deadlines, you can also set up dependencies. So if one step can't move forward without the completion of another, it can be useful to set one up. Just click the "+ Add dependency" link. It will open a search box where you type the name of the step you want this step to be dependent on and select add. It will then show the dependency in bright yellow with the option to remove. You can now add multiple action templates to a single card. Apply the first action template to the card. 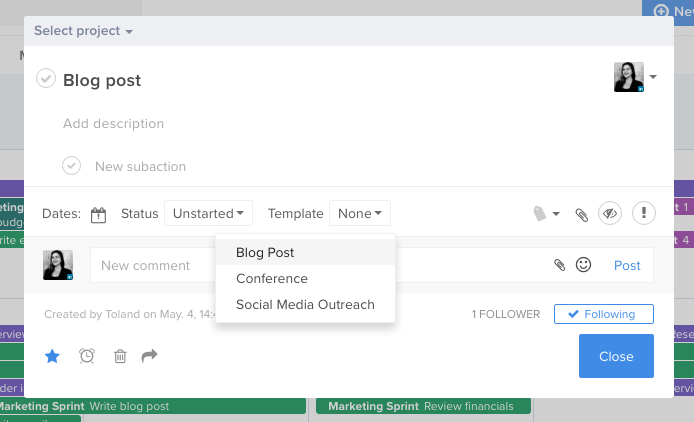 Hive will add in all of the sub actions, due dates, assignees, and attachments from the second action template. All data from the first template will also remain!